2019 Jeep Cherokee Review | Specs & Features | Gillette WY " "
What’s the Price for the 2019 Jeep Cherokee? How Many MPG Does the 2019 Jeep Cherokee Get? What’s New for the 2019 Jeep Cherokee? The 2019 Jeep Cherokee comes with numerous updates that make it one of the top choices among new SUVs. For the 2019 model, Jeep has redesigned its polarized front end. Also, the 2019 model also comes with a new engine, an updated infotainment system, and interior updates that provide more cargo space. The new turbocharged engine is a 2.0L inline-four that provides drivers with more torque than the previous model. The new infotainment system now offers Apple CarPlay and Android Auto, which both come standard with every trim, and it also comes with integrated voice command capability and Bluetooth connectivity. The 2019 Jeep Cherokee will also feature a larger 7-inch touchscreen. Updates to the exterior include cap-less fuel filling, new wheel designs, and a redesigned rear with a lighter liftgate. There is also a new Trailhawk Elite trim that is available with the 2019 Jeep Cherokee. This new trim will offer 17-inch polished aluminum wheels that are paired with all-terrain tires, heated and ventilated premium leather seats, a heated steering wheel, a windshield wiper with de-ice capability, and a hands-free power liftgate with a tonneau cover. The Trailhawk Elite will also come equipped with a memory feature for the driver seat, exterior mirrors, and radio station preset selector. If you want to learn more about the 2019 Jeep Cherokee, we welcome you to visit us at White’s Energy Motors. We have a friendly team of representatives standing by ready to provide you with assistance. While you are here, you can browse through our inventory and take your favorite trim for a test drive to see all that is has to offer. 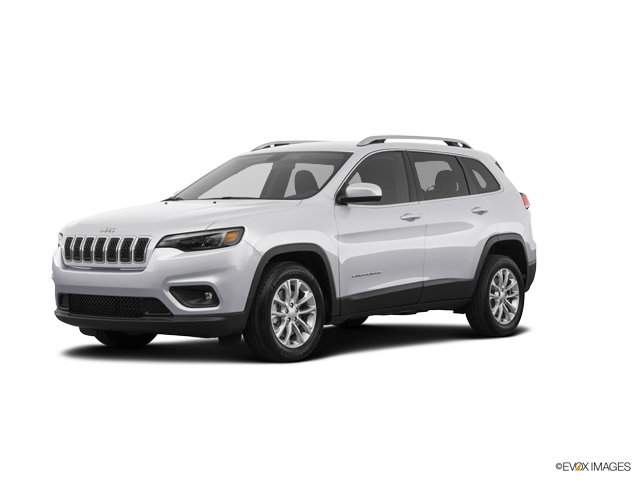 At White’s Energy Motors, we are confident that you will be impressed with the updates included with the 2019 Jeep Cherokee. ** EPA estimated mpg with 2.4L engine and nine-speed automatic transmission, 4×2. Actual mileage may vary.